McCall’s has posted their latest line of pattern offerings. My overall impression: meh. It looks a lot like the last line. McCall’s is obviously trying to be the young, hip, and cool pattern company in the BMV(K) line-up. But mostly it looks like the designs are either very poofy tops, color blocked boring dresses, or for kids. And what is up with that bike in all the photos? Really, with the evening gown? What? M6701 – I like the way this skirt hangs. M6703 – This top could look cool, but I think it just looks too big. I am planning on making an XS. 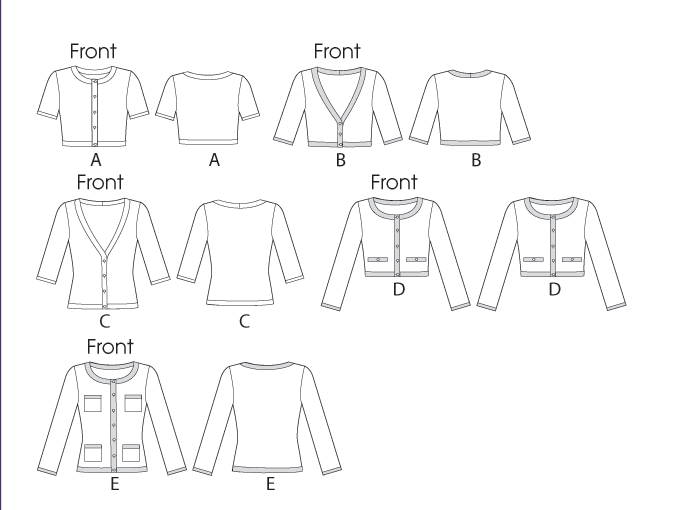 M6708 – This is a nice cardigan pattern. I especially love view C. I think this is going on my list. Yes, this pattern is totally a hidden gem in the collection. I love all of these options! M6699 – A simple but nice sheath dress. 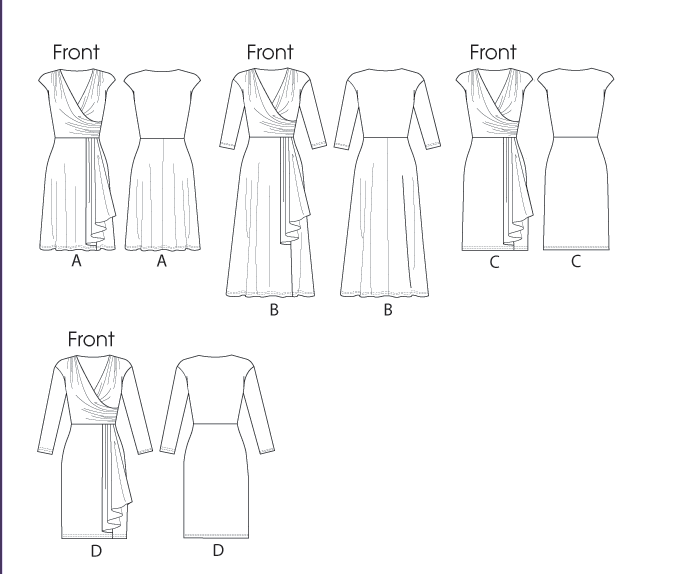 M6711 – Ok wardrobe pattern. M6704 – Look at my wings I can FLY! 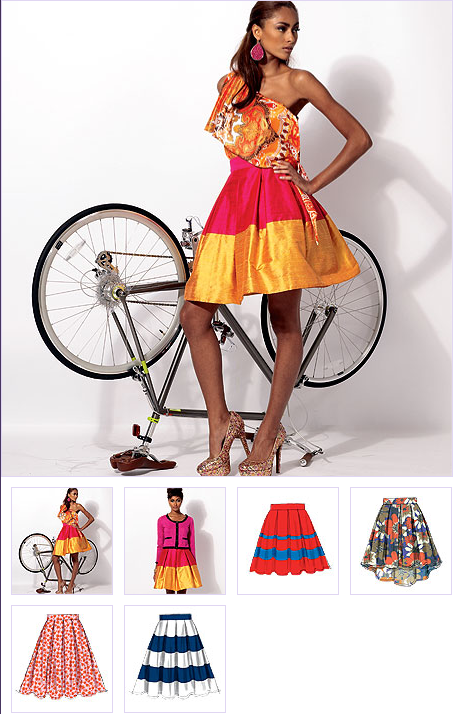 Sorry… the bike theme is just… too much. So… what do you all think? Not quite so boring as the Burdas that popped up yesterday, but not terribly exciting either. Once again I feel like I am seeing regurgitation of the same patterns. Boring. What do you all think? Anything here you can’t live without? Did I miss something good in the preview? Or are we all going to be stash-sewing for the next few months? Feel free to discuss! 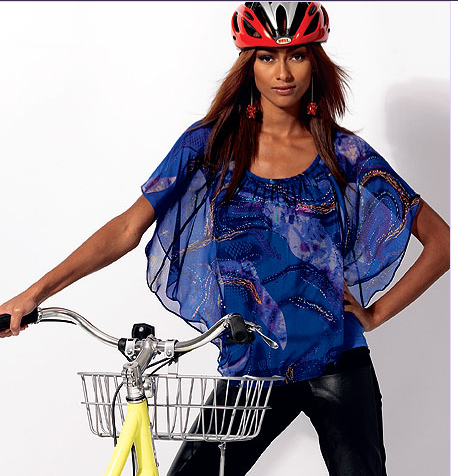 Newsflash: January 2013 Burda Preview! I really can't find any patterns I like at the moment, I just keep hunting etsy for vintage ones. Lots of hi-lo hems, too. I agree there isn't a lot new but I'll probably get the sheath since it is such a basic pattern. Well, minus the fin on the vent. M6703 does look rather droopy on the model, but the two that I think are most worthy of commentary are (1) M6702 tunic which they show on a model, and then on the same model but now pregnant. Same model, with and without belly bump. 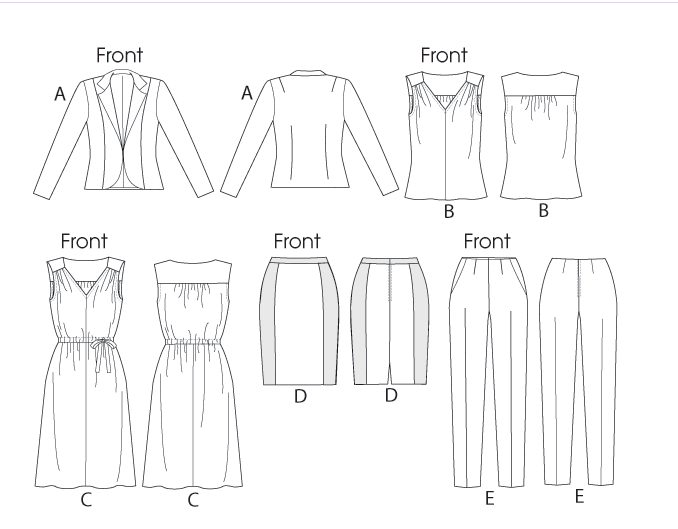 And (2) M6712 because I want to see what the pattern pieces might look like – all 27 blocks for the top and 37 for the skirt!! Yeah M6712 looks crazy… And yet it doesn't look like much in the photographs. I feel like if they had used bright fabrics it woulda looked crazy, but without them it looks blah.